No, you can’t beat fun at the old ballpark. Or in the case of First Tennessee Park, home of the Nashville Sounds, the Triple-A affiliate of the Oakland Athletics, you can’t beat fun at the new ballpark, either. 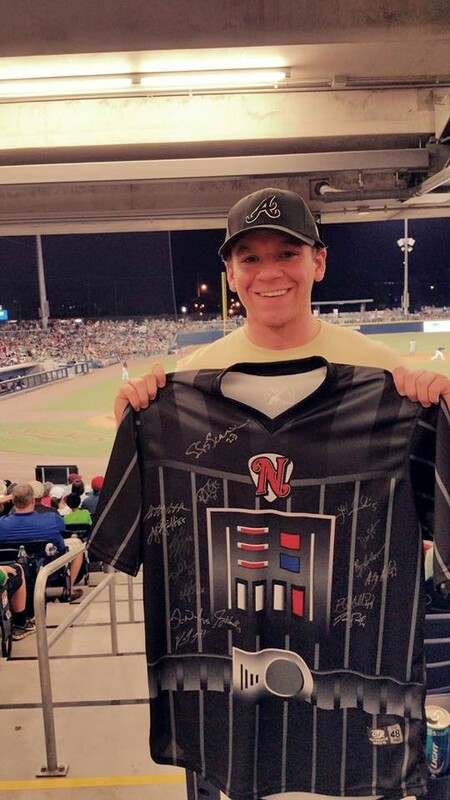 Friday, June 19 was Star Wars Night and the Omaha Storm Chasers, the Triple-A affiliate of the Kansas City Royals, were in town to take on the Sounds. Our son, Sean, and I got to the park early and settled in for a night of baseball that was to end with a fireworks show after the game. Nashville came into the game struggling mightily. They closed out May and started June with eight straight wins and won 12 of 14 to pull within one game of .500 (28-29); but more recently the Sounds were losers of nine of their last 11 games and their record dropped to 30-38. The Sounds took the field decked out in special Darth Vader uniforms, hoping, perhaps, for a change of luck. Fans in attendance had the opportunity to bid on the jerseys during the game with proceeds going to the Nashville Sounds Foundation. Sean and I stopped by the booth and entered our bids before the first pitch. The game turned out to be quite a pitcher’s dual with left-handers Brad Mills of Nashville and Buddy Bauman of Omaha trading zeros through the first four innings. Right-hander Matt Murray replaced Bauman in the bottom of the fifth and he and Mills pitched through the seventh inning with very little trouble. Sean with his Star Wars team-signed jersey. While these pitchers were bobbing and weaving their way through the game, Sean was darting back to check on our bids on the jerseys every two innings. He hung around the tent through the bottom of the sixth and came back to his seat with a team-signed jersey. Righty Dan Otero replaced Mills in the eighth inning and kept the shutout intact. Then it looked as though the Sounds were going to break through against Murray in the bottom of the inning. Joey Wendle led off with a double and after a groundout by Ryan Roberts, Omaha intentionally walked Jason Pridie. The strategy worked to perfection as Nate Frieman hit a hot smash right at the third baseman for a 5-4-3 double play. It was about this time that the night started getting a bit bizarre. The public address announcer let us know, that due to the possibility of high winds in the area, the Sounds were, regrettably, going to cancel the post-game fireworks show. “Booooooo!” went the crowd, but very few of the 10,542 fans decided to leave the scoreless game. Otero wiggled out of some trouble of his own in the top of the ninth. Casey Kotchman led off with a single for Omaha and moved to second on a groundout by Moises Sierra. 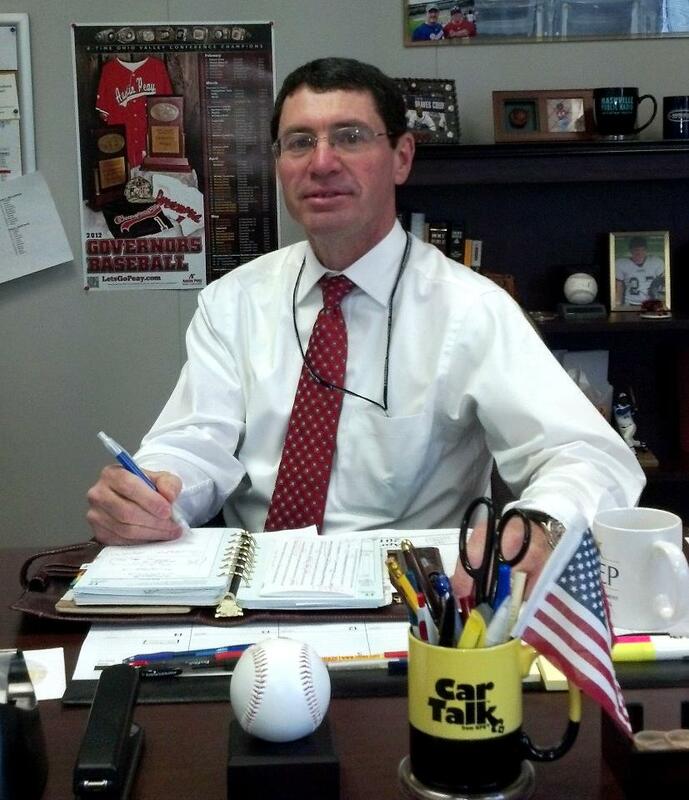 Sounds manager, Steve Scarsone, called for an intentional walk of Orlando Calixte to set up a double play. Dusty Coleman singled on a hard liner to left field, but Kotchman held at third, leaving the bases loaded. Scarsone’s strategy paid off when Niuman Romero dove to his left to stab Whit Merrifield’s smash up the middle and turned it into the old 6-4-3 double play. The crowd jumped to its feet to cheer the defensive play of the year thus far for the Sounds. The Sounds had a great chance to win the game in the bottom of the ninth. Anthony Aliotti led off with a double that bounced over the left-field wall. Kent Matthes laid down a perfect bunt to move Aliotti to third with just one out. If Brian Anderson could put the ball in play on the ground or loft a fly ball of any depth to the outfield, the Sounds would win it 1-0; but Anderson struck out swinging. And then Romero did the same. It was extra innings at First Tennessee Park. With the top of the 10th inning came the wind that the public address announcer had warned us about. Right-hander A.J. Alvarez replaced Otero and was immediately in the soup. Paulo Orlando singled to right and stole second base. Alvarez bore down and struck out Cheslor Cuthbert for the first out and then Scarsone went with his ninth-inning strategy and issued an intentional walk to Brett Eibner. But Alvarez uncorked a wild pitch and both runners moved up; he then walked Francisco Peña to reload the bases. Kotchman did for the Storm Chasers what Anderson couldn’t do for the Sounds; he lifted a fly ball into left field just deep enough to score Orlando and Omaha led 1-0. Sierra reached on an infield single, but Eibner was out at the plate as he tried to come around and score from second on the play. The game moved on to the bottom of the 10th. And then the rain came. It started out as a steady drizzle that sent the fans in the lower seats rushing for the cover of the overhanging upper deck. Craig Gentry led off with a single to left field, but was out trying to stretch it into a double; the rain came down harder. Wendle flied out to center; the rain came down even harder and the wind was blowing it sideways. Roberts lifted a routine fly to left field but neither Sierra nor Calixte, both looking up into the driving rain, could catch it; the ball dropped in for a double. 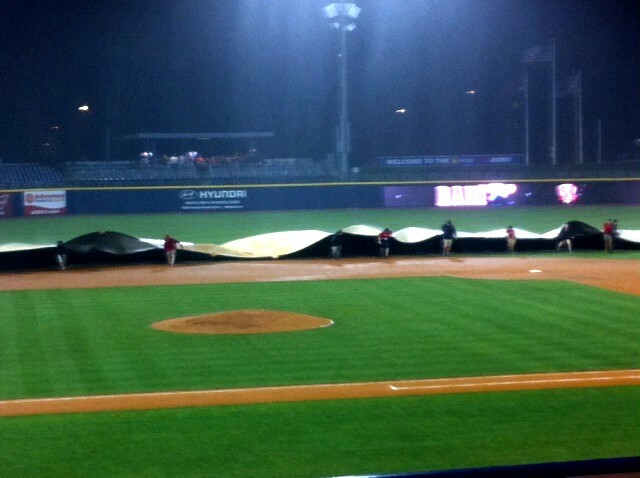 And then the bottom dropped out and the umpires called for the tarp. The grounds crew covers the infield at First Tennessee Park. With the field covered and the rain blowing the crowd began to thin, but Sean and I decided we would wait it out. In about an hour the rain stopped and the grounds crew removed the tarp. Norm, our regular fan host, whipped out his ShamWow® and began to dry the seats down near the visitors dugout. Once he had a row dry, he motioned us down and Sean and I made like Bob Uecker and moved down to the front roooow. The players from both teams emerged, took the field, and begin to limber up. Omaha manager, Brian Polberg looked into the crowd as he descended the dugout steps. Just before his head disappeared, he made eye contact with me. “Did you play here?” I asked him. He responded immediately. “Yes, in 1981 and 1982,” he said. The view from the front row as Jason Pridie grounds out to end the game. 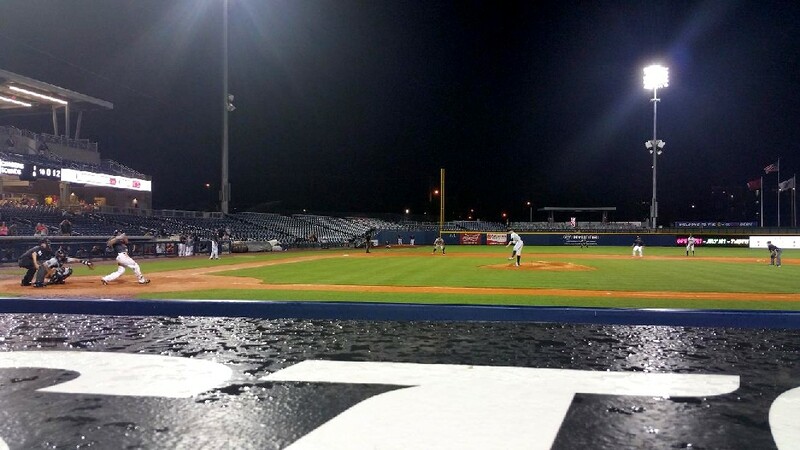 Polberg dropped down out of sight and the Storm Chasers took the field, an hour and twenty-eight minutes after Roberts hit his rain-drenched double. Left-hander, Scott Alexander, came on to pitch for Omaha, needing only one out to end the game. 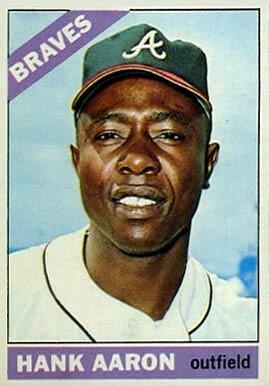 Pridie stepped to the plate for Nashville, took a strike, and then swung and hit a broken-bat grounder to first base where Cuthbert fielded it cleanly and trotted to the bag to record the final out. So after waiting almost an hour and a half, it was all over on two pitches and the home team lost 1-0. No, you can’t beat fun at the old ballpark. ← Where Have All the Homers Gone?